SUB Football is a 7-a-side soccer league with a difference. Catering to players of all levels of experience, it's unique rules make games fun, fast paced, and high scoring. The no-force policy makes it an attractive option for players new to football, and for those who appreciate the social aspect of the game. Join us on Wednesday evenings this summer at our new venue at Riversdale Reserve - open to mixed and mens teams. 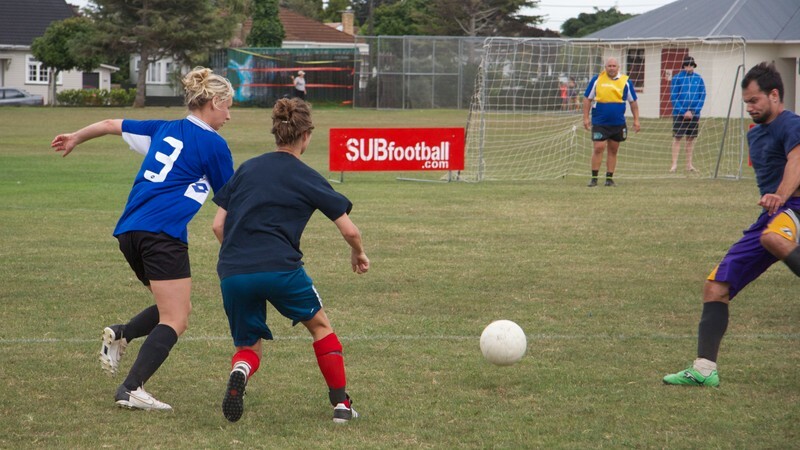 Mixed teams require a minimum of 3 women on the field. Team entry is $695, individuals $99. 14-week season with a 4-week break over Christmas and New Years.